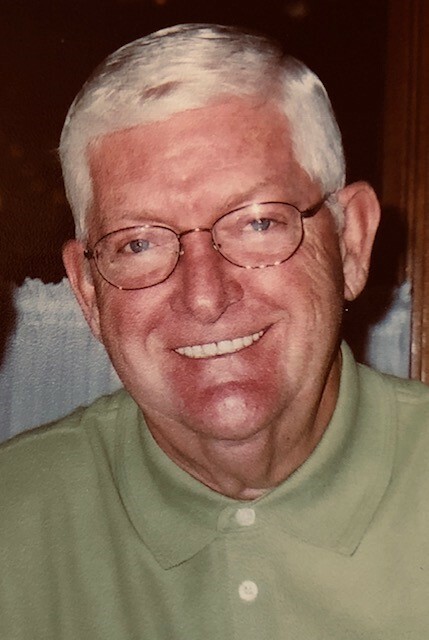 Chester “Duane” Cady, 83, was ushered into Heaven on January 15, 2019 after a courageous eight-year battle with cancer. Duane was born at home in Indianapolis, IN to George William Cady and Eunice Olive Oxford Cady on July 2, 1935. On September 3,1954, Duane married the love of his life, Mary Evelyn Outland. Duane didn’t marry the girl next door, he was more adventurous and married the girl he described as “cute, shy and shapely, too!” who lived two doors down. They enjoyed 64 years together raising their family and in retirement playing games together, rooting the Cubbies, Pacers and Colts, traveling to most of the fifty states, and supporting their grandchildren by attending their numerous school and sports activities. Duane was a 1953 graduate of Arsenal Technical High School in Indianapolis. Having studied printing in high school, he started his work life as a typesetter after high school, then as a milkman making home deliveries for Polk and Borden Diaries, followed by a short stent as a life insurance salesman. As he described it, people would say they couldn’t afford life insurance and being an honest man he would agree, “no you can’t”, making for a short career. For over 30 years Duane worked in the construction materials industry as a traffic manager and chief dispatcher for Ready Mixed Concrete and Irving Materials, Inc., retiring in 1998. On November 2, 1972, Duane made the most important decision of his life, to accept Jesus as his Lord and Savior, a decision that would influence and impact the rest of his life and that of his family. While he enjoyed reading Westerns and books by John Grisham, his favorite book by far was the Bible. Duane served on leadership boards at Trinity Wesleyan Church and Calvary Temple Assembly of God. He also served as a small group leader, youth sponsor and Sunday school teacher for young adults and young married classes. Though he didn’t serve in the military, Duane was very patriotic regularly praying for the troops and for the President regardless of who was in office. Duane was also a proud Hoosier, with no trip being complete without singing “Back Home Again in Indiana” and “Little Red Barn” as he would drive his family across the state line into Indiana. Duane was a quiet presence with a quick-wit and great sense of timing for delivering a punch line. In his later days, even when you thought he wasn’t listening he would often make everyone laugh with a wry comment at just the right time. He will be remembered as a positive, friendly and generous man who seemed to always have a kind and encouraging word for others. In addition to his parents, Duane was preceded in death by his sisters, June Bell of Albuquerque, NM and Rosemary Mocas of Lawrence, IN. Family members surviving are his beloved wife, Mary Evelyn Cady of McCordsville, IN; she will be loved and comforted by their son, Don (Sharon) Cady of Indianapolis, IN; daughter, Kathy (Rich) Moorlach, of Fishers, IN; grandchildren, Stephen (Jill) Cady, of Pasadena, CA; Sarah (Josh) Carroll, of Dallas, TX; Olivia Moorlach of New York, NY; Alexandra Moorlach and Leighton Moorlach, of Fishers, IN. Also surviving is Duane’s brother, Phil (Cres) Cady, of Henderson, NV; and several nieces and nephews. Family and friends will gather on Saturday, January 26, 2019 at 10:00 AM in Trinity Church, 9709 Allisonville Road, Indianapolis, IN 46250, followed by a Celebration of Life starting at 12:00 PM. In memory of Duane, donations may be directed to the Jesus Film Project, 13300 Olio Roadd, Fishers, IN 46037. Envelopes will be available at the service.